Experience with Thai minority group by local food cooking, rice cooking in bamboo tube. Attend a Peace & Happiness ceremony “Lễ cầu an” in pagoda in Hue. Get the camera ready as soon as we land, and overloaded motorbikes accompany us towards the center. To acclimatize, we take a relaxing stroll in the lively area around our hotel as our guide welcomes us to his country with a smile. 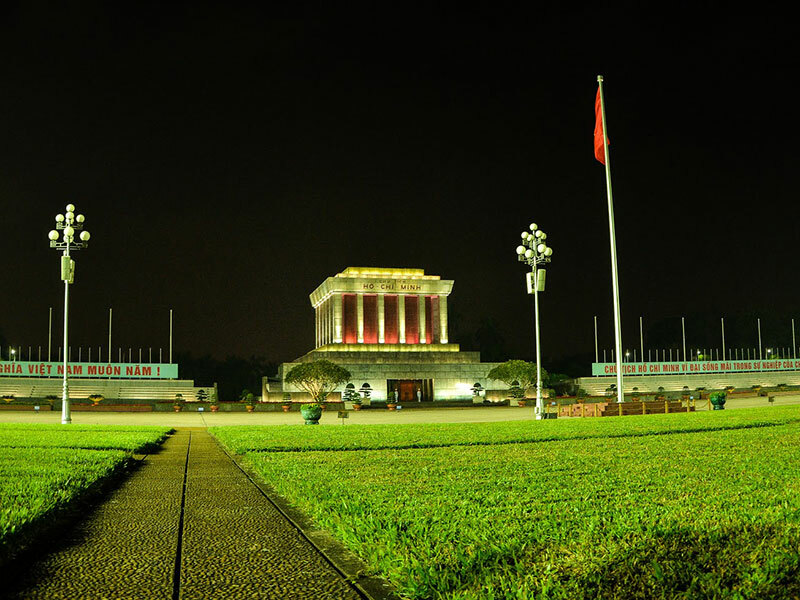 Ho Chi Minh Mausoleum and his House on Stilts are the ‘political correct’ place to start our tour. The giant square and surrounding public buildings mark the link to Russia. Time to experience Hanoi’s fascinating city life. We’ll criss-cross the Old center of the town by cyclo; the Quarter of 36 Streets and the old French sector. Outdoor barbers, women selling baguettes, man in tiny chairs chatting over steaming bowls of noodles and joggers around Hoan Kiem Lake. Then we disappear in lanes and alleys too small for most traffic to follow to discover a market that even the most experienced traveler will find amazing. The real Hanoi! There are many things changing in Hanoi but one thing; the way they start up their day There is another beauty of Hanoi, quiet, fresh, peaceful but not empty, let’s join to discover Hanoi from another angle! visit the morning market to enjoy the beauty of flowers, fresh vegetable and admire how hard working people bringing beauty to life; walking around the lake enjoy fresh morning atmosphere then it’s the most exciting time for you to see and join in process of “Phở Bò” noodle soup at local host . Finish the true Hanoi-style with Pho before go back to your hotel. Afternoon you will leave Hanoi towards the west where the large suburbs make space for rice fields and farm land. These hills are where the ‘White Thai’ live; originating from China and they also have their own language and culture. You will stay with them in a house on stilts and experience firsthand how this minority tribe still lives every day. Your meals are local, and so are your music and dances. The White Thai have special dances for every occasion, like courtship and weddings, and annual festivals. Some require typical musical instruments. The days of the White Thai start early; just before first light the roasters call each other from house to house. a local guides you along the paths through fields to local market and some a small village around where people will be at work on the land, and search the jungle for edible plants and create items to trade or sell. You will join in all this! For example cooking rice in a bamboo tube over a fire, catching fish in to stream and learn about the activities of the local farmers. Transfer back to Hanoi and overnight in Hanoi. Driving east, we leave the city behind. 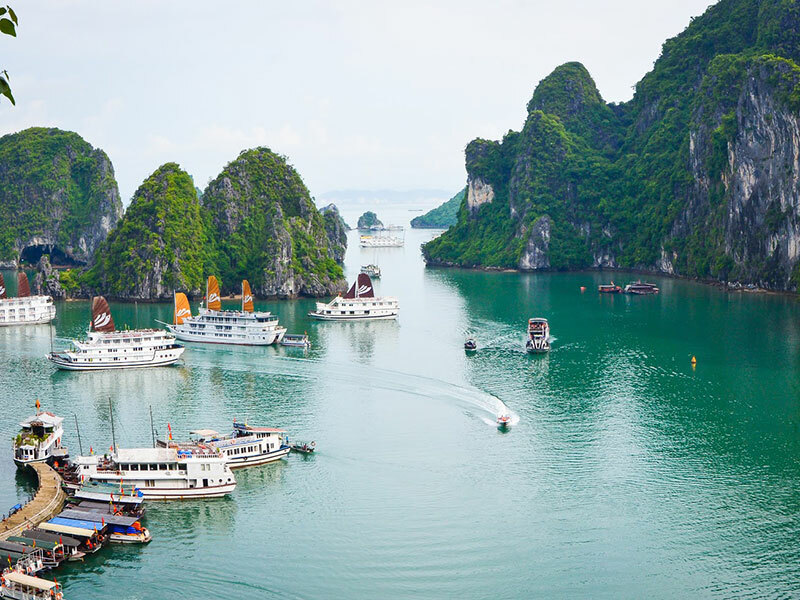 In Halong Bay, the romance of old Vietnam still lingers, with bizarre karst islets randomly scattered and the odd red-sailed junk sliding across the waters. Laze out on the deck of our own rebuild junk-boat, from where we may swim, and visit one of the caves on the islands. After dinner on board there are comfortable sleeping cabins prepared for us to spend the night floating on the Bay. 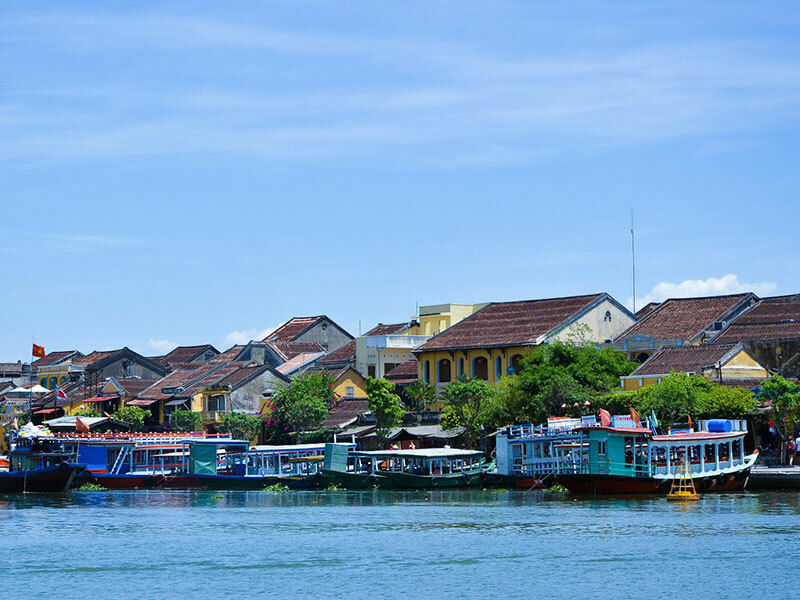 Hue has long been regarded as the ‘Third Capital’ of Vietnam, after Hanoi and Saigon. 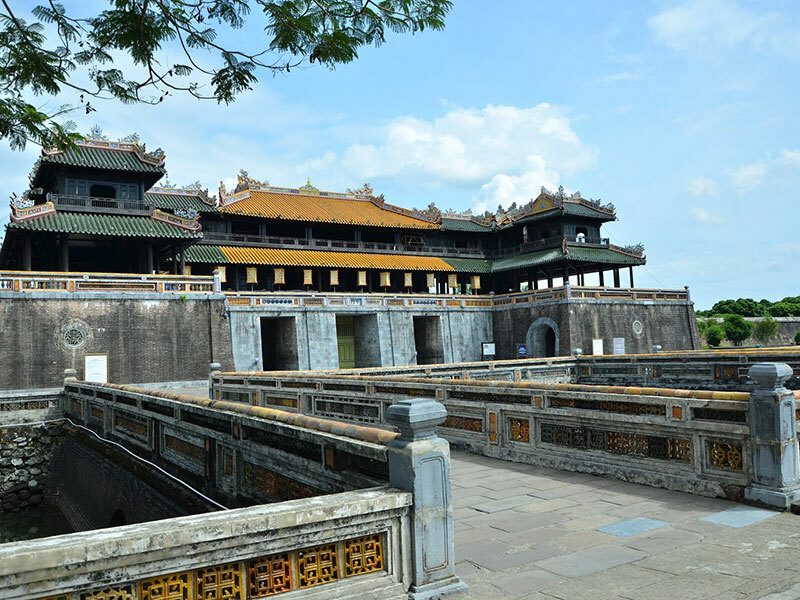 Hue is the cultural, religious and educational heart of Vietnam. The reason we will learn from our tour guide when we visit the Royal Citadel. Important part if the life of these emperors was the preparation for the afterlife.. The Emperors lived ‘a life of dreams’ but what happened next? Sailing on the Perfume River we reach the finest of all Imperial Tombs where the atmosphere is peace and tranquility; here you’ll find the answers. 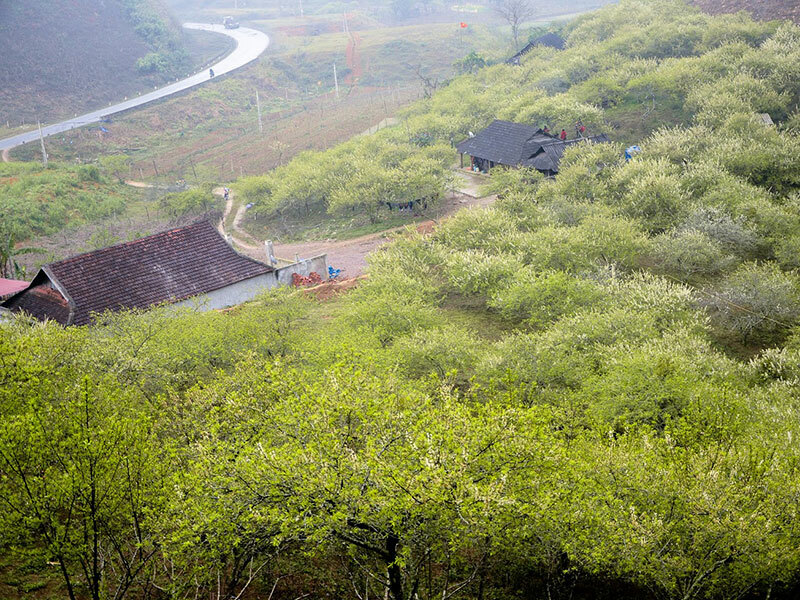 Hills and lakes, pavilions and guards, Feng Shui and your guide; these will tell you all. Stop at a handicraft village you can see how the Vietnamese hat is made, by hand, and why not make your own? The perfect souvenir! From Hue we will have opportunity to enjoy a spectacular way to Danang via local train. Passing Lang Co Beach and the Hai Van pass, the original Northern limit of the former kingdom of Champa. Danang was once the center of the kingdom that extended as far South as present-day Vung Tau. Danang later developed into one of the biggest U.S. military bases in Southeast Asia. 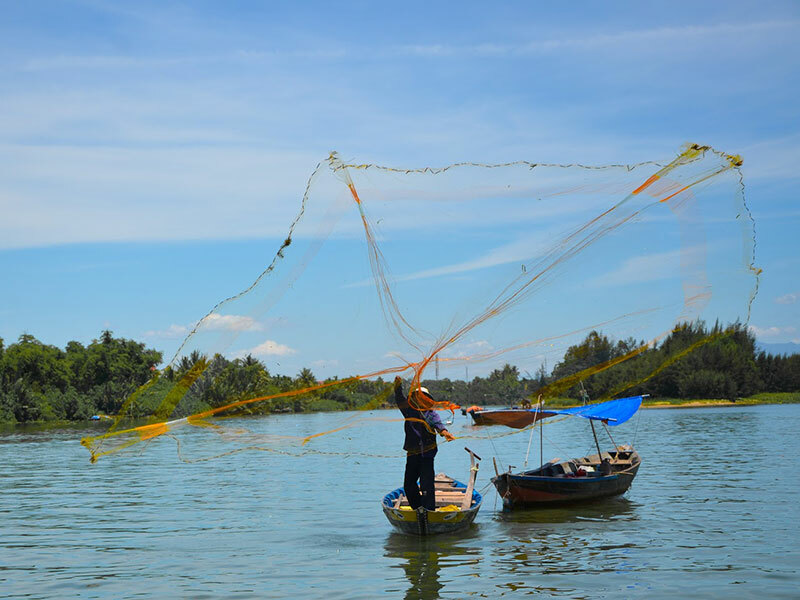 Get in to Hoian this UNESCO World Heritage protected town has a terrific ambiance: traditional architecture, great cafes and restaurants, some of the best deals in Vietnam for custom tailoring and buying artworks. Hoian an still retains remnants of its trading days as evident in the bustling market and abundance of souvenir and tailor shop. What markets Hoian remarkable today is that its old quarter has been beautiful preserved, the streets still lined with the old tile-roofed shop house, shady pagodas and colorful communal hall earnings. 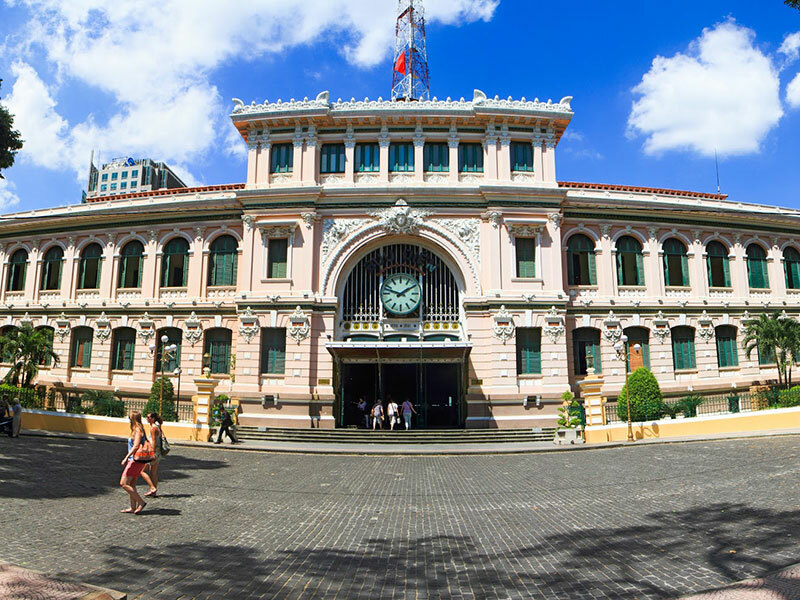 Take a cooking course including shopping at the local market or just stroll in the city past old family houses in genuine Vietnamese architecture, many museum and pagodas. 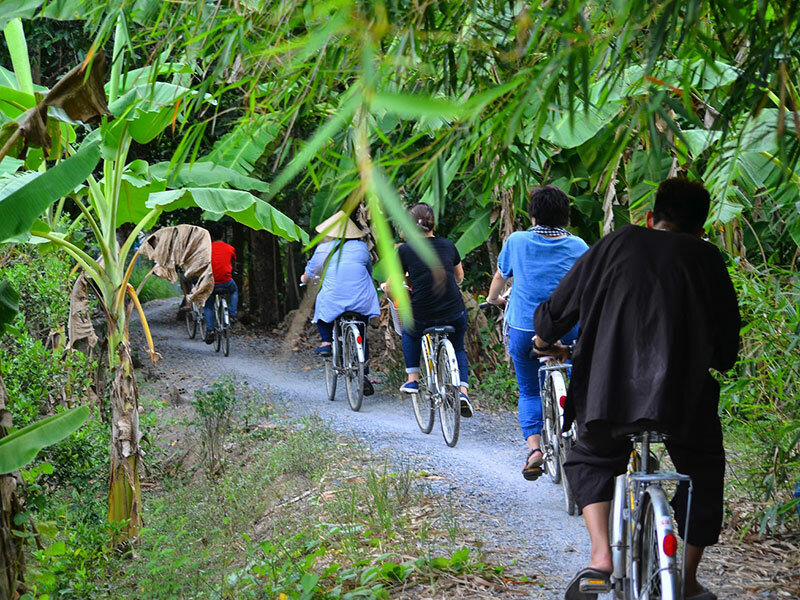 Don’t miss the chance to discover the country side only minutes away from your hotel, a great idea is to go by bike and drink a fresh coconut on the way! Morning flight to Ho Chi Minh City, or Saigon as the locals still prefer to call it, is best compared to an ant’s nest. A chaos at first glance, but when you spend some time there, you will notice that everything has it’s purpose. Landmarks like the Notre Dame Cathedral and Cholon, the Chinese quarter, are mixed with loads of daily scenes; noodle-slurping old men, high healed office girls including fancy shades, fresh dog meat on the back of a motorbike. The overloaded motorbikes, honking cars and omnipresent souvenirs sellers. Southern Vietnam is captured in all its essence here. Leave the buzz of Ho Chi Minh City behind and discover the tranquil rhythms of Delta life with tours through waterways and on land. Encounter the diverse mixture of markets, villages and cultures in this fascinating region. 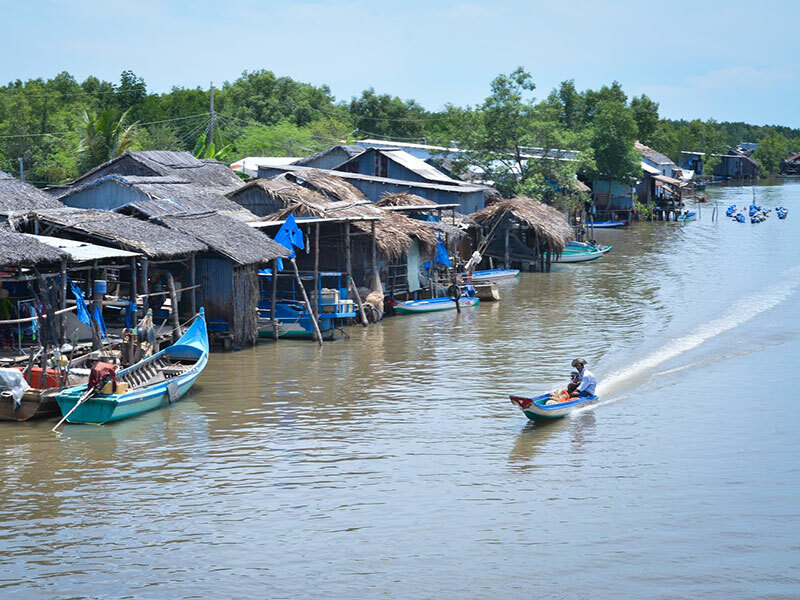 Life in the Mekong Delta revolves much around the river, and all the villages are often accessible by river as well as by road. 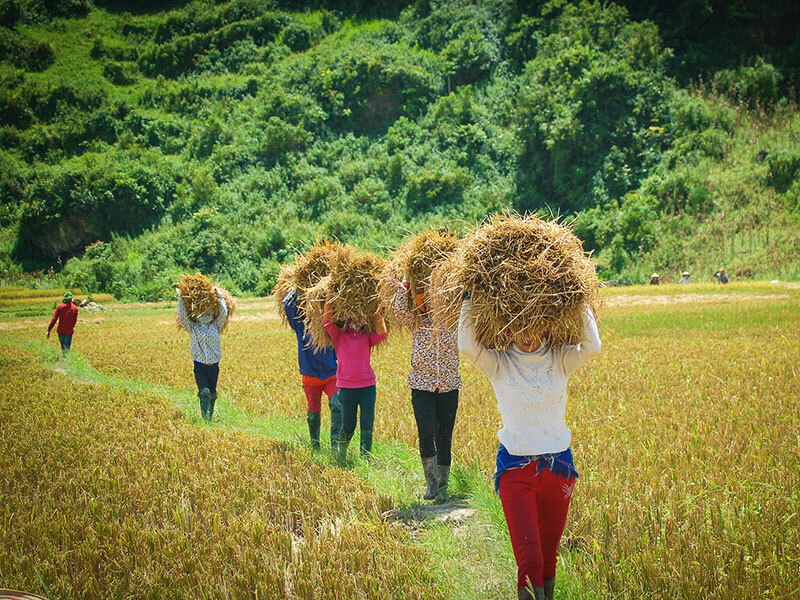 Visit a local farmers’ house to sample fruit freshly picked from the orchard while listening to stories about life on the land, for the more adventurous, bicycle ride among the lush rice paddies and coconut groves is a perfect chance to see life from a local perspective. Later afternoon, you will have an opportunity to know more this land by traditional pancake cooking class in local style and enjoin it in yourself. 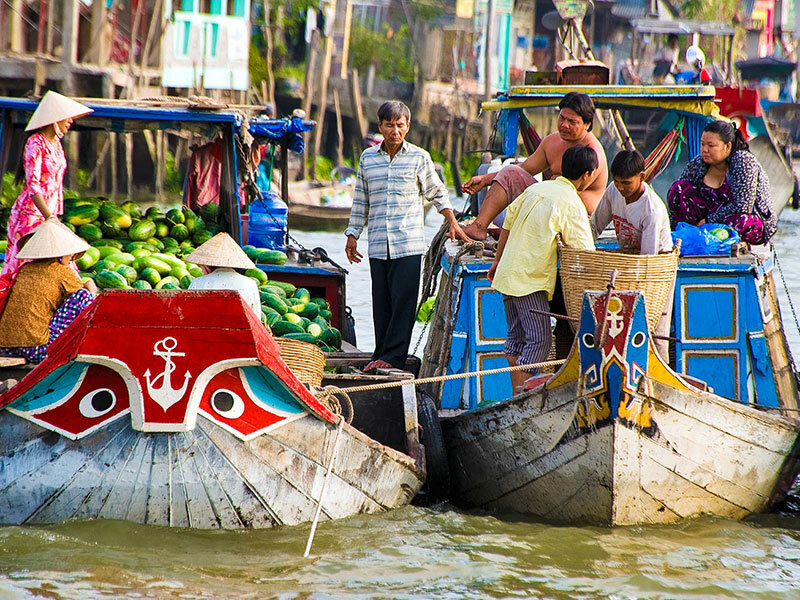 No southern Vietnam tour would be completed without a visit to the floating market and by staying in Can Tho. Drift among the boats as vendors and buyers negotiate for purchases of fruits and other goods, a typical Delta scene unlike anything else in the region. Highly fertile, with several crops a year, people are busy everywhere. Unique feature are the floating markets, where fruit and vegetables are hanging from boats on long poles, to indicate the wares. 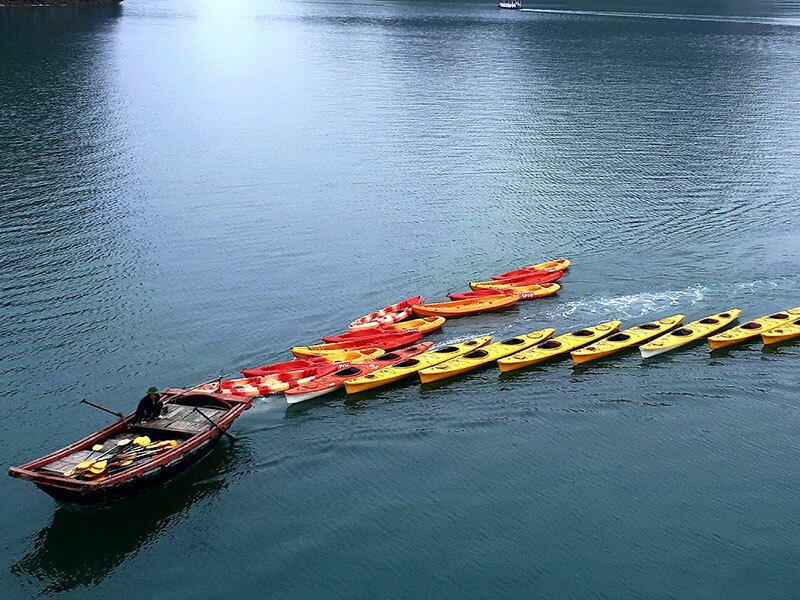 A colorful scene, best visited by boat, wind your way on a sampan through the maze of canals, being followed by the excited cries of “ Hello” from local children. Continue on your discovery of the region with a tour of the cottage industries to see the locals making items such as Vietnamese rice wine and rice paper. It is a pity if you forget to taste how sweet of Mekong fruit is. Return home with a wealth of incredible memories.